By giving people what they want and need Parsable is poised to transform the industrial sector. 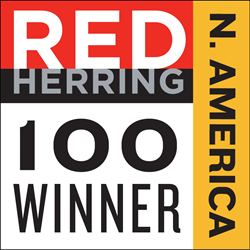 Red Herring announced Friday that Parsable has been selected for the Red Herring Top 100 North America award for 2017 celebrating its market traction, growth, and solution fit. Red Herring Top 100 North America recognizes outstanding entrepreneurs and the most promising companies that are most likely to become a large enterprise. It selects the award winners from the thousands of companies that are privately financed each year in the US and Canada. Since 1996, Red Herring has been tracking growth companies that are most likely to change our world. Red Herring editors identified early such companies as Facebook, Twitter, Google, Yahoo, Skype, Salesforce.com, YouTube, Palo Alto Networks, and Docusign. Parsable’s Industry 4.0 Connected Worker platform helps companies transform paper-based work instructions and tasks into digital business processes where work is seamlessly orchestrated and measured. Employees know exactly what they need to do, as well as how and when to do the work. Parsable’s platform then collects tens of thousands of data points every day from people and machines that are used to drive insights and rapid continuous improvement in the way work is performed. Red Herring’s editorial staff evaluates companies on both quantitative and qualitative criteria, such as financial performance, technological innovation and intellectual property, founder background, business model, customer success, and addressable market. This allows the Red Herring team and their venture capitalist partners to pick the stand out companies. Parsable helps the world’s largest industrial firms get jobs done right — every time. Most companies know that adhering to Standard Work processes produces the best results, but have trouble getting their teams to follow these processes resulting in lost productivity and poor quality. Parsable provides an Industry 4.0 Connected Worker platform so employees can collaborate together in paperless, mobile, and digital business processes. Teams know what work they need to do, and how and when they need to do it right on their mobile devices. Each step and action is measured and employees can raise issues and provide feedback so that every process is quickly analyzed and improved. Parsable’s customers include Schlumberger, Scientific Drilling, TechnipFMC, Unilever, Zume and other category leaders in consumer packaged goods, manufacturing, and energy. Founded by veterans of Google, Microsoft, SAP, Oracle, and YouTube, Parsable is headquartered in San Francisco with offices in Austin and Vancouver. More information on the closed-loop Industry 4.0 process that Parsable is powering at leading industrial companies is available here.